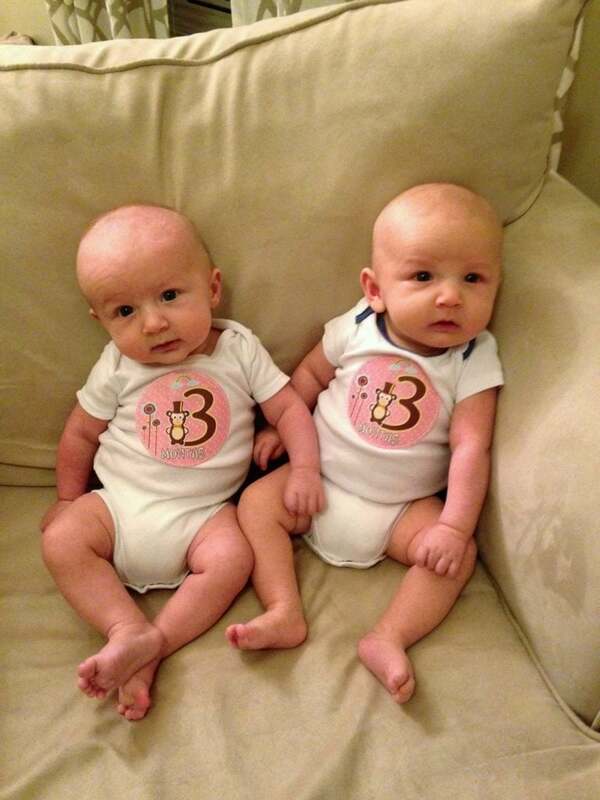 As twin moms, we’ve all been asked the typical “Do twins run in your family?” question probably 500 times before our twins reach their first birthday. Now my husband and I laugh because apparently, they do. 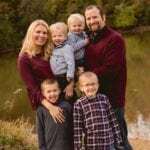 My husband is a twin, we have three-year-old twins, and just recently his twin brother and his wife also had twins. All the sets are fraternal which scientifically should mean that this all happened by chance since my mother-in-law, my brother-in-law’s wife and I don’t share the same genes. Good luck explaining that to nosy strangers without making everyone uncomfortable! Typically, mothers-in-law are a wealth of information and advice but in our case even more so. When we found out I was pregnant with twins, she was the only other person I knew with twins. My own personal resource for all things raising twins! While a lot of things have changed in the last thirty plus years since she was in my shoes, so many things are the same. 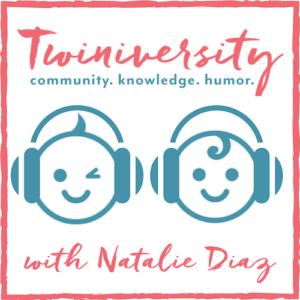 Her advice is invaluable, not just because she is also a twin mom but because she is a twin mom who has successfully raised her boys and can now look back on everything with new perspective. She has shared with me things she would have done differently and the best choices they made. And now you get to benefit from this wealth of knowledge too! 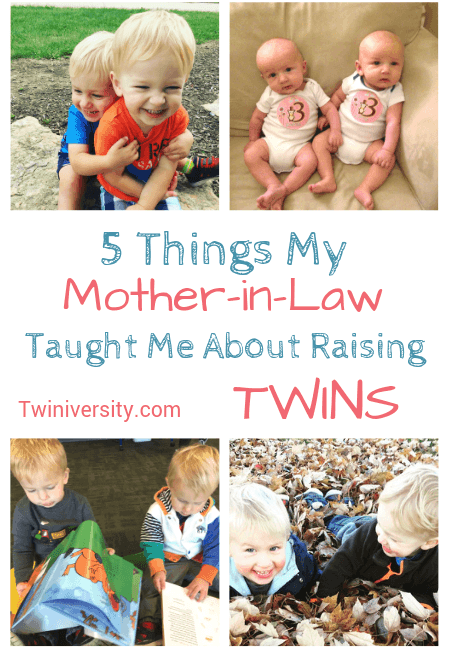 Here are the top 5 things I learned about raising twins from my mother-in-law. Her first piece of advice is one that I literally have to remind myself of every single day. Do NOT compare yourself to moms with only one baby. Moms of singletons may be able to keep their baby on a flexible schedule, run errands all morning or skip naps for play dates but for us every task is twice as complicated. It’s hard to ignore all the posts on Facebook about your friends whose babies are sleeping through the night by 6 weeks and have a super clean house every minute of the day – but you have to ignore them. It’s NOT the same and it’s okay if that is not your reality. You have 100% more child to take care of! 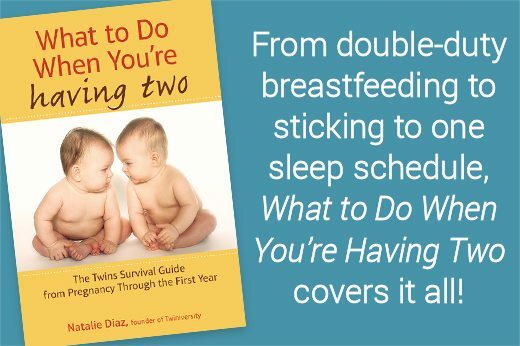 Do what works best for you, your twins, and your family and don’t worry about the rest. My mother-in-law would always offer when they came to visit to keep our babies so we could get a few minutes alone, even just to run a quick errand. She would say ‘Go be Josh and Amy’ for a minute instead of someone’s parents. There were times that I was exhausted and did not want to leave the house but she insisted and she was always right. It’s important when things are crazy to take a minute for each other. Even if it’s only a minute. Those first few months (or years) are crazy and you have to cut each other some slack. It’s exhausting for you both and may not come as naturally to your other half, so try to find an ounce of patience. And when you can’t find that patience remember, anything said in that sleep-deprived haze at 3 AM is immediately forgivable under twin code. 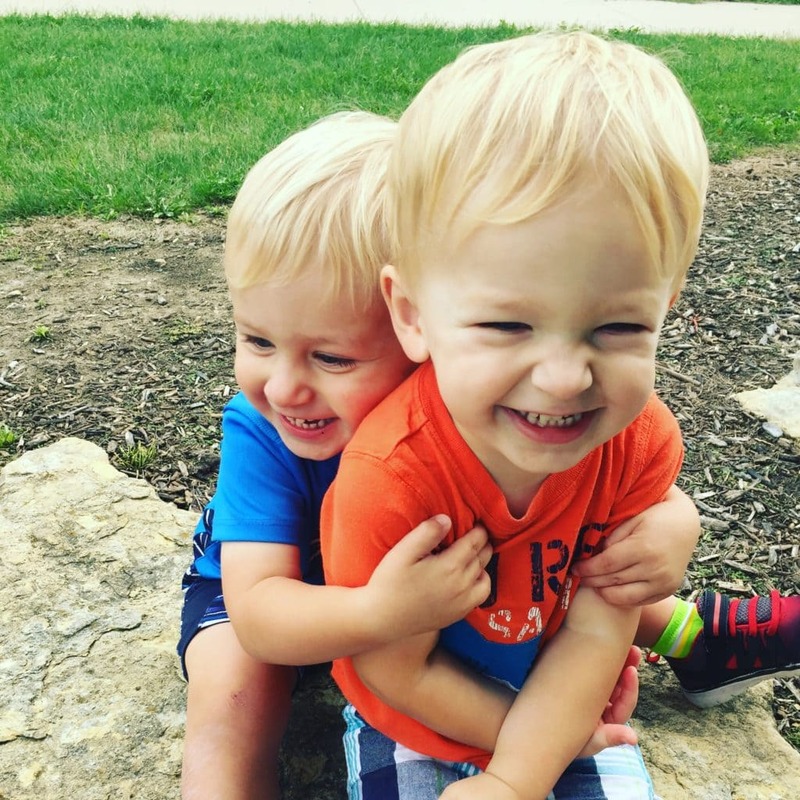 After our twins were born, my mother-in-law warned me that you don’t know what it’s like to have twins until you have them. Some things that come naturally to twin parents don’t even occur to the rest of the world. 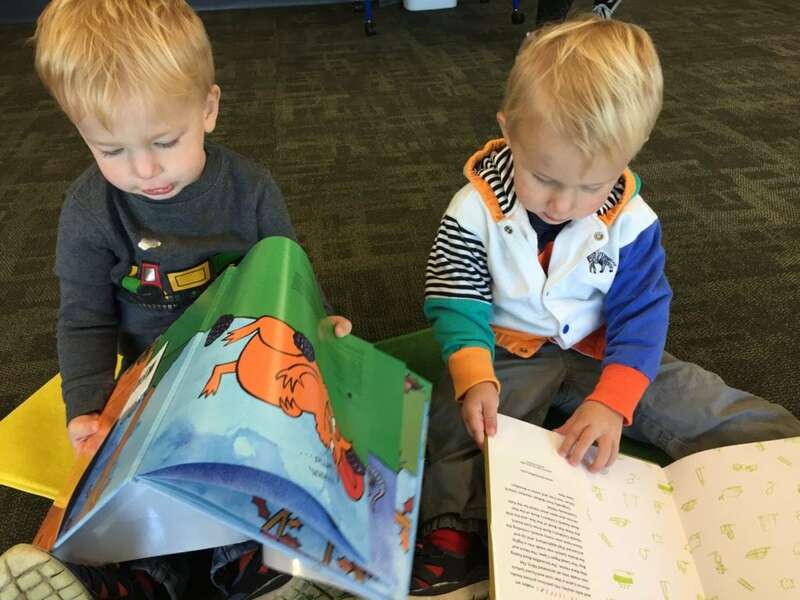 At the time when my husband and his brother started kindergarten, it was the school’s policy that twins are always split into different classes. My mother-in-law did not feel like that was the best for her children for various reasons but didn’t feel like she could challenge the school’s policy. She still says that is one of her biggest regrets in not speaking up for what she knew was best for them because of challenges that arose during the year. 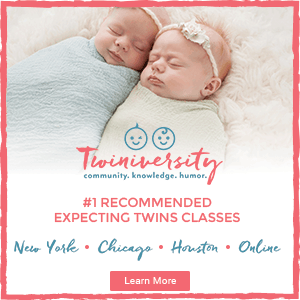 This certainly isn’t a debate on the benefits of twins being in the same or different classes, but instead a reminder to trust our instincts. Nobody knows our children better than we do, and it’s okay to speak up and challenge things that don’t feel right. This advice is so, so true. Even when they are newborns, you only have two hands. You do your best to keep both of them happy but at some point, you are one person caring for two babies. You prioritize and do your very best. But more times than not, someone is going to be unhappy. The sooner you accept that and roll with it, the happier you will be! We have two older boys in addition to our twins, and even though our twins are now toddlers this is still so true. Someone is always unhappy about what’s for dinner, who has to take a shower first, or even what movie we’ve chosen for movie night. I like to think it’s teaching them all valuable lessons about compromise and how to handle disappointment. You just cannot make everyone happy all the time, and you’ll drive yourself crazy trying! My mother-in-law warned me before ours were even born, that people would just start referring to them as ‘the twins’ rather than their individual names. That was so completely true and I had no idea how much it would bother me! For some reason, it’s difficult to convince the rest of the world that twins are two individual people instead of one unit. As twin parents, it’s our job to recognize and encourage each one’s talents and interests and let them choose their own activities. We always discourage comparison between them, even when they are little. I love getting advice from my mother-in-law because I’ve seen for myself the bond that her twins have. My husband has always, without question, said his twin brother is his best friend even though they live across the country from each other. They haven’t lived in the same state since they were 18, but they still have a unique bond and humor that us non-twins don’t quite understand. 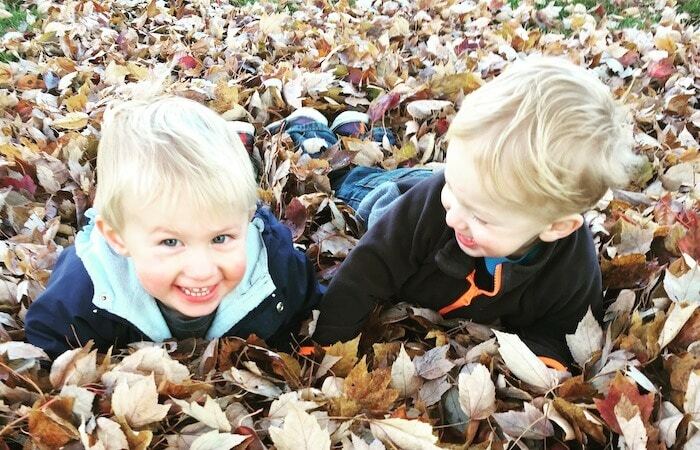 We remind our twins frequently that their bond is special and encourage them that they can be brothers AND friends!